UK-based distributor Silverlining Rights has added a one-off doc about survivors of the Auschwitz concentration camp to its sales slate. The Girl Who Forgave The Nazis (1×60′) was produced by Testimony Films for Channel 4 in the UK, where it will air later this month to coincide with World Holocaust Memorial Day on January 27. 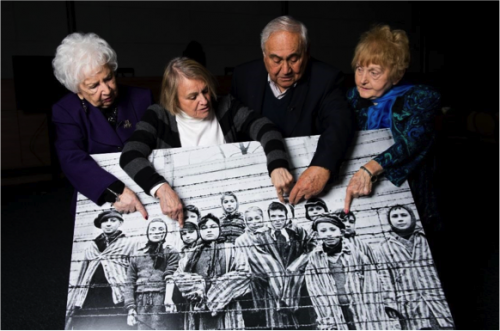 It tells the story of Auschwitz survivors brought together by the 2015 trial of 94-year-old former Nazi Oskar Groening. The show explores the life of Eva Kor, who was one of many twins experimented on at Auschwitz and who ultimately forgave Groening and the Nazis for their crimes. Silverlining Rights’ slate also features other Testimony titles, including 9/11: the Lost Hero and 9/11: the Miracle Survivor. Silverlining TV was set up in 2012 by former Channel 5 commissioning editor Bethan Corney and offers non-scripted coproduction brokering services, while sales arm Silverlining Rights was launched in Jan 2015 and is run by Corney and James Ogglesby.